Dates are already beginning to fill up for 2018. If you want to host an invitational, a league finals or cluster meet, sign up for the invites that are available, then this website is where you can do it. MEET DIRECTORS: You can also sign up for one of our “EVENT PACKAGES” where you can host a meet but have most of the “heavy lifting” done by the Event Committee. 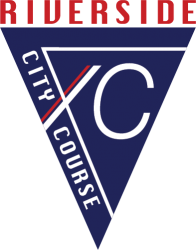 All in all, the Riverside City Championship Cross Country Course has been a boon to the promotion of the sport of cross country and we hope to continue that well into the future. So, if interested in hosting your own meet or interested in entering one of the listed invites, please contact John Corona of Martin Luther King High School at jcorona@rusd.k12.ca.us at 951-544-1068 and we can get you started. In hosting an event at the Riverside City Championship Cross Country Course, you will need to sign up for the EVENT PACKAGE below. If your event is not sponsored through RUSD, then you must fill out Riverside City Paperwork through the Parks and Recreation Department. Enforce team camp policy: That is, that teams should be camped out in the team area provided. This policy cuts down significantly on whatever dust might be kicked up during the competition. PARKING LOT The parking lot is supervised and run by members of La Sierra and King High Cross Country programs. Parking fees are $5 per car on weekdays and $10 per car on weekends. Proceeds are shared between the La Sierra and King XC programs and are used to improve the course and facility, which include recent additions of a second exit gate, provide security and other needs the course requires.